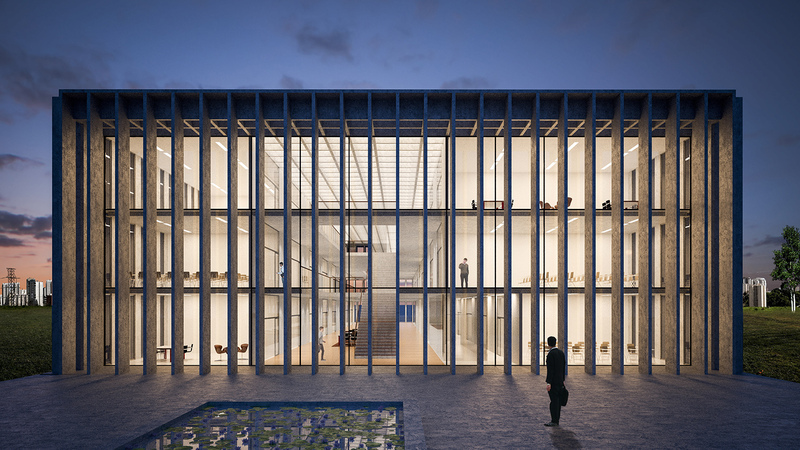 Campus Horsens establishes itself as a city in the city with a continuation of the area’s building block structure and classical city motives such as narrow streets, parks and urban squares. 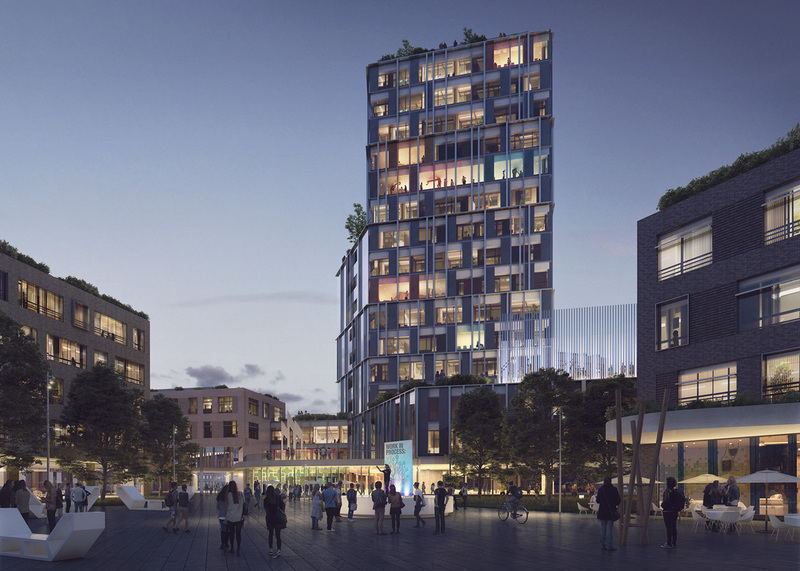 At the same time, the campus connects with the city by establishing a path that connects the three new urban areas, Campus Square, Expo-pladsen and Innovation Square, which all lies as a natural extension of the city’s flow. 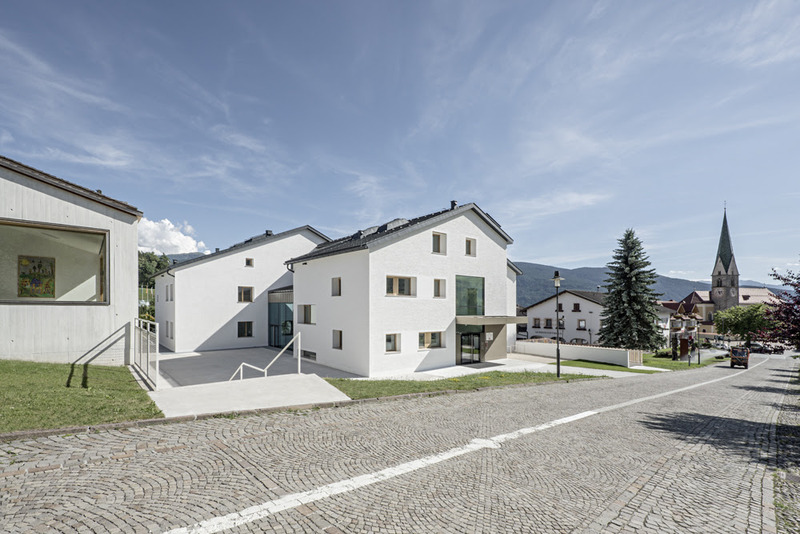 feld72 recently completed the redevelopment of the primary school in Terenten/South Tyrol. 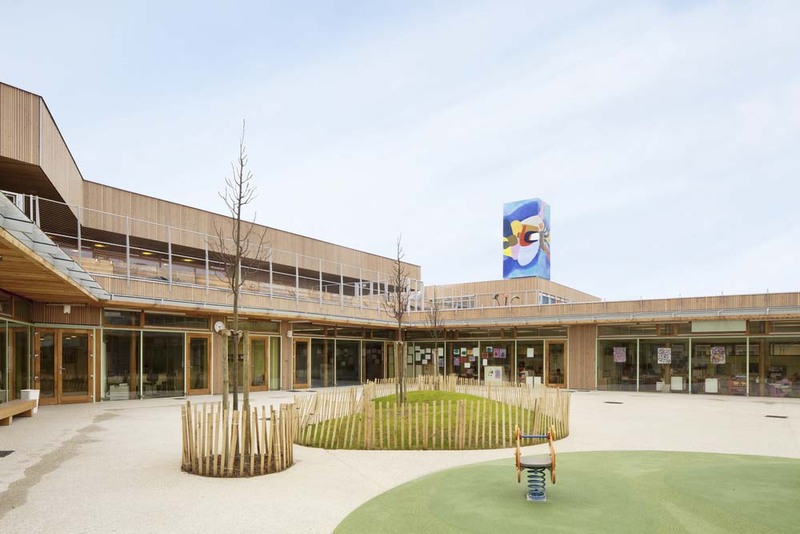 Together with the kindergarten they built in 2010, it now forms a modern educational ensemble, which is directly embedded in the village life of Terenten. 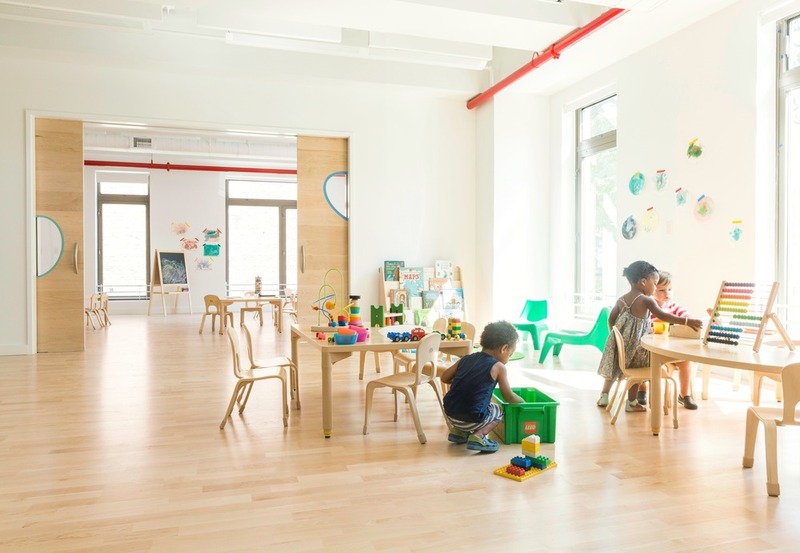 Starting with the original building of the 1970s, they turned the school into a sensory instrument, which changes and sharpens perceptions and encourages the children to discover, experiment and research, thereby offering an active learning environment. Schools are great opportunities to implement energy-smart, sustainable and green design elements. Not only do they help work towards energy independence and a more eco-conscious built world, they can become talking points among teachers and students to help inform our youth of the importance of investing in a green future. Planting the idea of environmental friendly materials, design strategies, and electrical and mechanical systems in the minds of students paves the way for them getting more involved as their teeth get longer and their wallets get fatter. 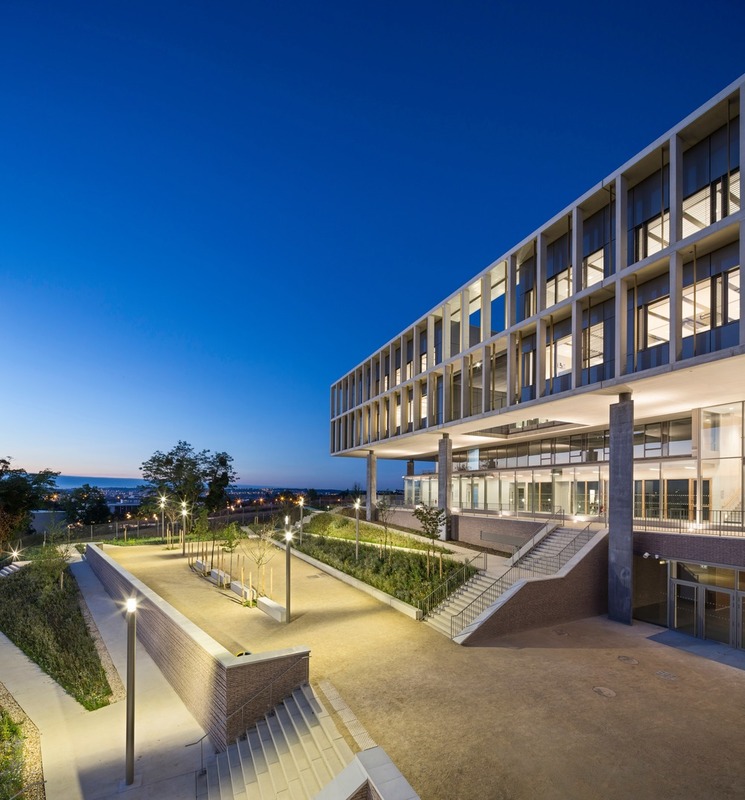 Here are a few ideas existing and new schools can start instituting today to help usher in a new age of green development and sustainability. Most schools these days primarily use concrete masonry units (CMUs) for their exterior wall construction. They are monolithic, fairly easy to install, and incredible resistant to fire and weather. However, they are horrible at providing enough insulation to not only meet code, but provide a comfortable interior environment for students to learn in. These walls have to be furred out from the inside and insulated with more traditional methods, which increases cost and still doesn’t provide the best thermal protection.